This week’s cocktail requires that you have simple syrup on hand. Don’t rush out and buy a bottle, though. As the name suggests it is dirt simple to make at home. Plus, when making syrup at home you can control the base ingredients and tweak your resulting cocktails as you see fit. 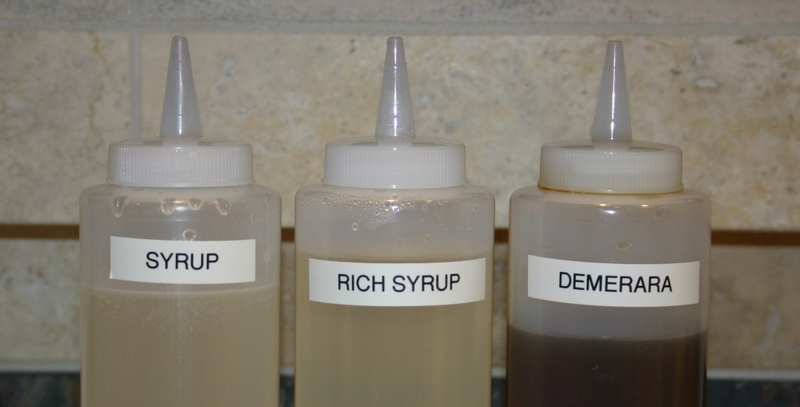 I usually keep three types on hand: plain simple syrup, rich syrup and demerara syrup. Perhaps on the obsessive side, but I am a cocktail hacker after all. However, for the home bar the only one I see as essential is plain simple syrup. See? Simple as can be. The same proportions and technique can be used to make demerara syrup. Demerara sugar is granulated, unrefined, natural sugar. You’ve most likely seen it at coffee shops for adding to your favorite morning beverage. The resulting syrup is a nice brown (see the picture above) and has more of a natural sugar flavor than you’ll get with white sugar. I find it works really well with dark rum drinks. Some recipes may call for rich simple syrup (or rich syrup). Rich syrup is great for cocktails where you want sweetness but don’t want the additional dilution that plain simple syrup provides. Rich syrup is just as simple as simple syrup, just has more sugar. Note though that this one must be heated to dissolve all the sugar. I suggest you keep your syrups in the fridge to prolong their shelf life. You can also increase their shelf life by adding 1oz of Everclear to each bottle of syrup. 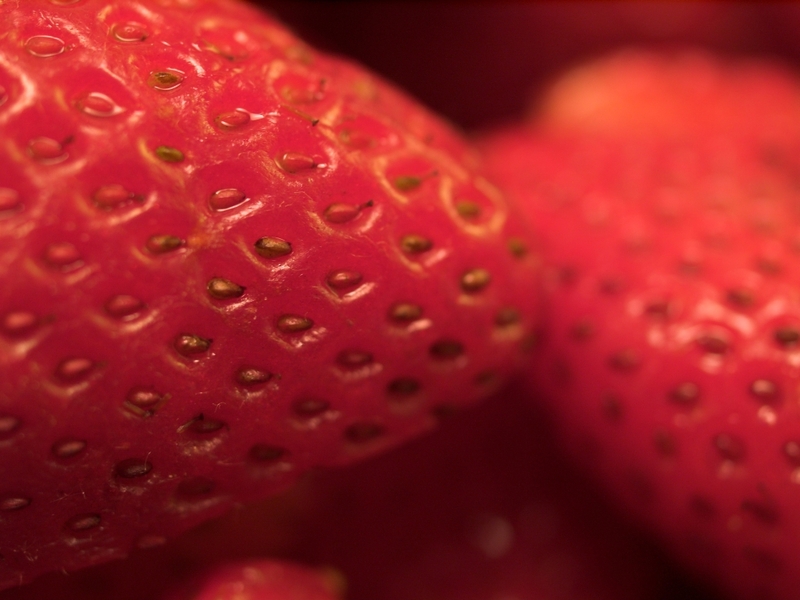 Once you master these recipes you’re ready to take on infused simple syrups. More about that later in the week. 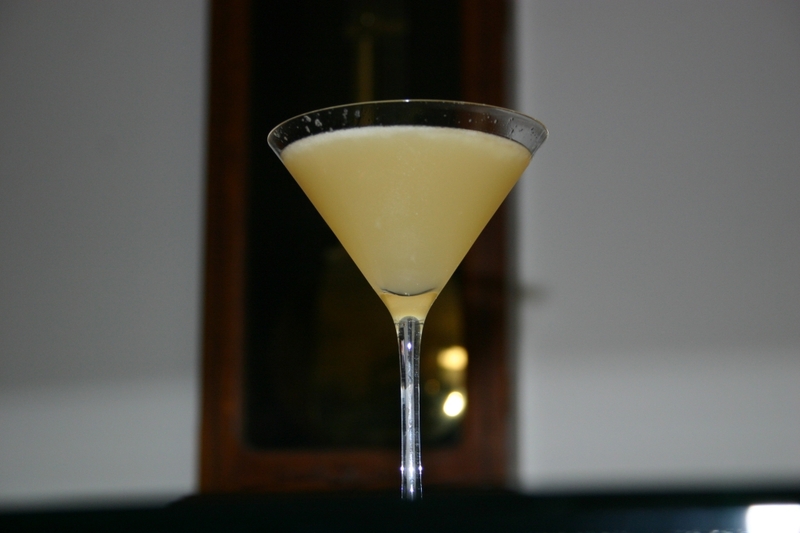 Last week we enjoyed the first of Embury’s six basic cocktails, The Sidecar. This week we’re going to be sampling The Daiquiri. If this is the first thing that pops in to your head when you hear the word Daiquiri, then please, dear reader, pull up a chair and let the Hackers tell tale of the classic Daiquiri. The Daiquiri got its name from a beach and an iron mine near the town of Santiago, Cuba. The drink was invented in Venus bar by a group of American mining engineers. It’s said that the engineers decided to make a new drink from the ingredients most common in the area, limes, sugar and rum. And so, the Daiquiri was born. The drink was a favorite of many in the US including John F. Kennedy and Ernest Hemingway. Although Hemingway preferred his a touch stronger. More on that later in the week. Embury was a huge fan of his 8:2:1 ratio of Spirits:Sour:Sugar as we discovered with The Sidecar. He carries this on in The Daiquiri. The ingredients you’ll want to pick up for The Daiquiri are below. The rum in this drink is very important. The original recipe calls for White Label Cuban Rum. Although you can substitute other rum varieties (dark, gold, etc) white rum gives a very clean flavor to the drink. You can use any white rum you like, but I’d suggest Bacardi as the rum of choice. Bacardi began in Cuba and was the first to refine rum to the spirit we know and love today. Because of this history in Cuba, Bacardi was definitely the rum originally used to create this drink. There is a ton of great information about the Bacardi company available on Wikipedia. You’ll also need a few basic tools to make this drink. We’ll report back throughout the week on our investigations and on Friday we’ll summarize our findings and our favorite recipes. Until then, enjoy your cocktails. Today marks the end of our first week here at CocktailHacker.com, a week of tasting, and experimenting with, one of my all-time favorite cocktails, the Sidecar. Throughout the week, Reese and I have tested many different recipes, some of them exceptional, and some of them not so much. Of the many lessons we’ve learned about the Sidecar this week, the most important, I think, and this is apparent to me only now as I review our tasting notes, the key to a good sidecar is equal parts Cointreau and lemon juice. 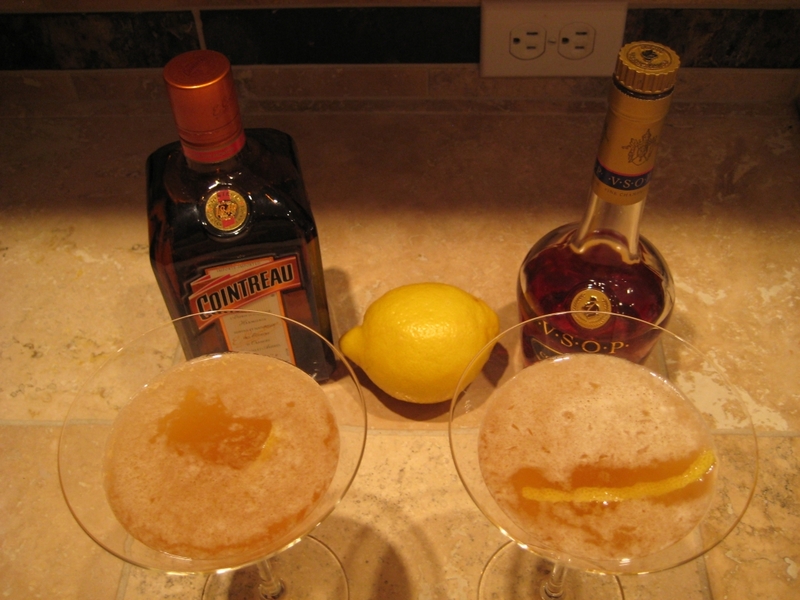 While the amount of brandy can vary significantly between recipes and still produce a very tasty cocktail, it seems that altering the balance of Cointreau and lemon has only a negative affect on the overall quality of the final drink. Also of note, as Reese and I imbibed cocktail after cocktail, it became clear that we were, in fact, each looking for a Sidecar with somewhat different qualities. While my associate tended more toward the drier of the Sidecar recipes, my tastes ran more to the sweet. After much debate, and several black eyes (I’ll never be pretty again), we’ve each decided to name a favorite recipe. Have to say that we agree this cocktail is dry like the Mojave Desert. Although, the good quality Cognac saved it. It was a tasty cocktail, but not what we were really looking for in a Sidecar, much too dry. So I went searching to see what other’s had to say about the recipe. Much to my surprise what I found is that the recipe listed in Difford’s Guide is not in fact the authentic Embury recipe at all. Although close, the Embury recipe is even drier! Dropping what little Cointreau there was in the Difford’s recipe to 1/4 oz would result in basically lightly flavored Cognac. At this point, I have to come clean and say that I didn’t even hazard the “True” Embury Sidecar. Thankfully there are other recipes, better recipes in fact. So on that note I go to test another recipe so you, dear reader, need not encounter the desert dry Embury Sidecar. The Oxo Mini Measuring Cup may not look it on the surface but it is in fact the best jigger you will ever use. Making cocktails well and consistently requires accurate measuring all the time, every time. Traditional jiggers are great for measuring the amounts they’re designed for. However, when you have a 1 1/2 oz jigger and you want to measure 3/4 oz things can become complicated. 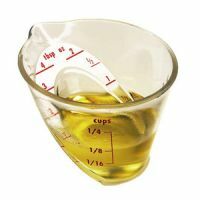 Enter the Oxo Mini Measuring Cup. I was discovered this gem watching an episode of The Cocktail Spirit with Robert Hess (Link at right) and have been a convert since. This jigger, as I’ll call it, has easy to read measurements running both up the side and up a diagonal plate inside the cup itself. This allows you to pour from the top and read the amount as you pour. The cups are noted in both metric measurements and standard units (measured in 1/2 oz increments). Finally, the best part of the Oxo Mini Measuring Cups are their price. At $9.99 for 3 from Amazon the price can’t be beat.